Only a cruise onboard the luxury motor yacht ODYSSEAS can offer romance, excitement, and as much  or as little  activity as you wish, combined with the natural beauty and the nine thousand year history of the magnificent Greek Islands. ODYSSEAS, a Viking extended aft deck motor yacht, is as big as its name implies. The spacious cabins, quality construction and impressive height are unmatched by any other yacht in its class. 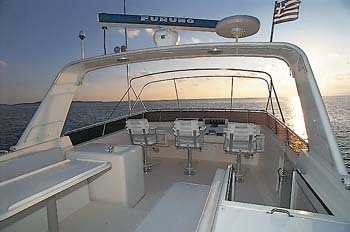 Air conditioned thoughout, ODTSSEAS provides comfort and privacy found only in much larger vessels. Whether you prefer island night life, searching ruins, or quiet relaxing days in secluded bays, the captain and crew will do everything possible to make your voyage safe and enjoyable. Water sport activities such as water skiing, board sailing, snorkelling, spear fishing and scuba diving are available whenever you wish. Experience travel the way it was meant to be and enrich your spirit as no other vacation can! ACCOMMODATION : For six guests in three double cabins. 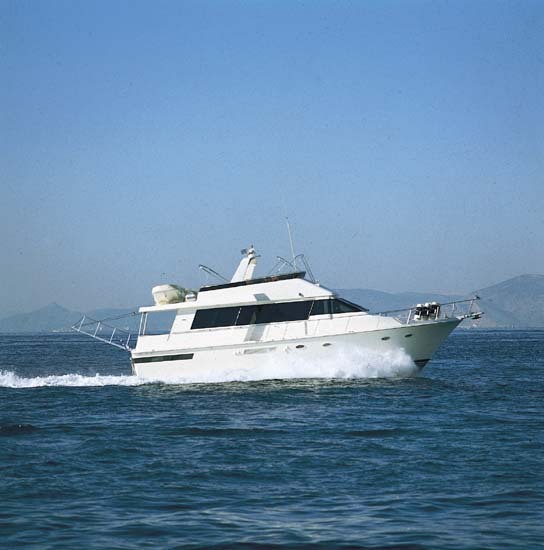 One spacious master cabin aft with en suite bathroom with tub. 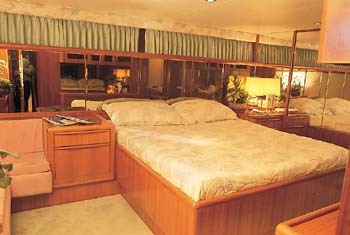 Two double cabins forward with ensuite baths with shower rooms. 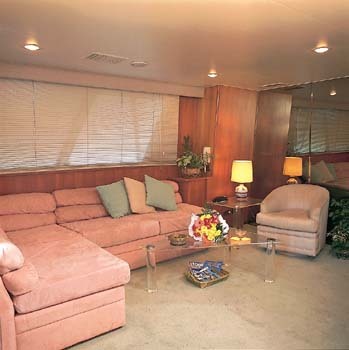 Independent crew quarters that share the companionway to the forward cabins.